This tree skirt is no longer available but I’ve listed a similar one here. 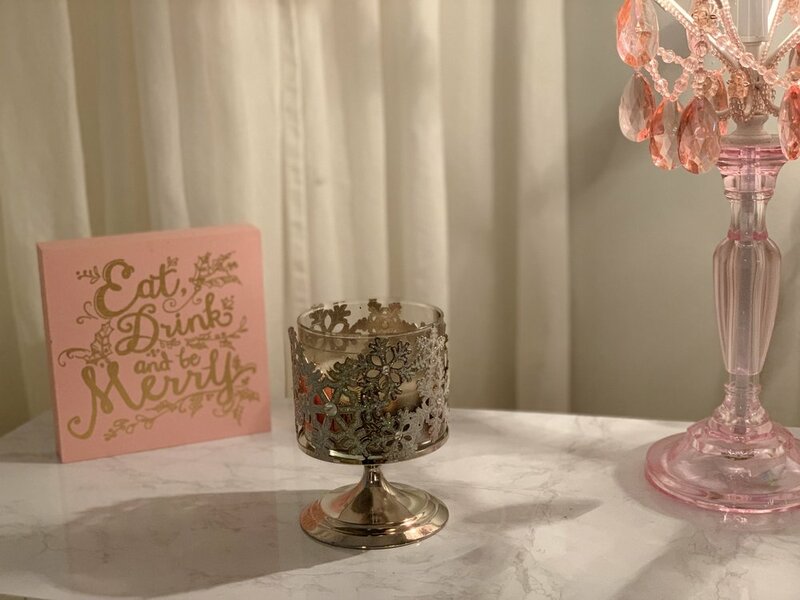 They don't have the silver glitter stocking holders that I have anymore so I listed these beautiful ones from Chip & Joanna Gaines’ Hearth & Hand with Magnolia line at Target. My console table is currently unavailable but I’ve listed the closest one I could find here. 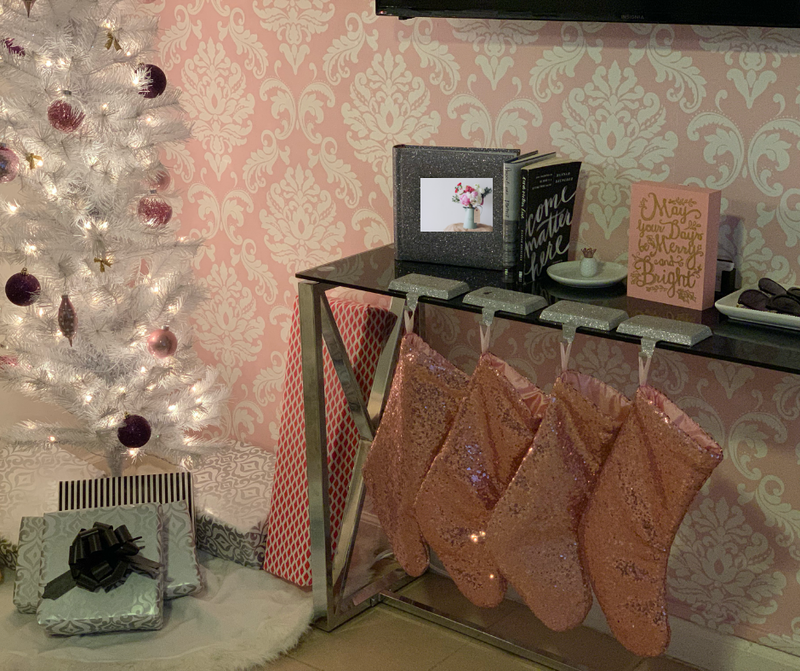 Pink and Gold Reindeer Throw Pillow was from Michaels but isn’t available anymore. My particular coffee table isn’t available but this is the closest one I could find. The Black and White pillows that I have aren’t available anymore but they were from Wayfair and they have similar ones here. 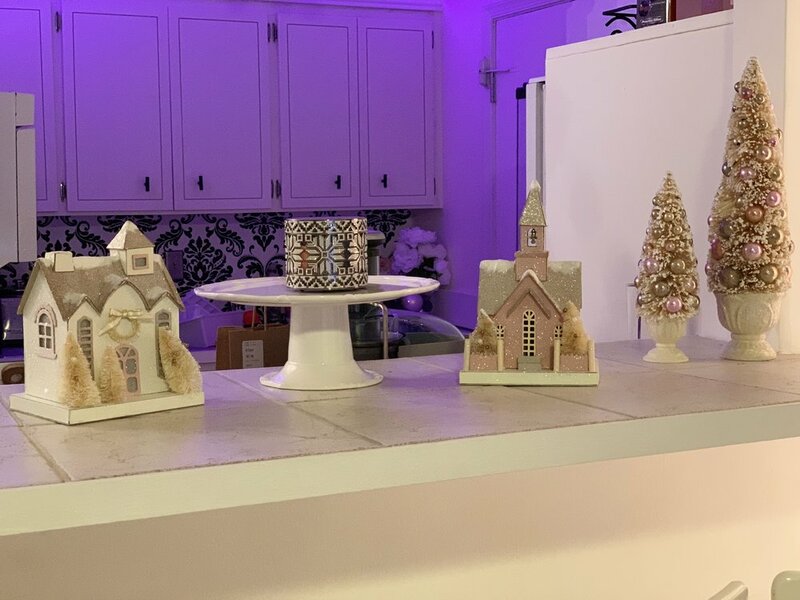 All the blush decor was from Michaels last year. They still have some in store but not online. The stunning tinfoil and blush deer / poinsettia sleigh were also from Michaels. The “Bloom Where You are Planted” Art Piece is from Hobby Lobby. This is the side table that I have but it’s currently unavailable. Here is a similar one. I can’t find my floral side chair but I got it from Wayfair.